Outset Netherlands is proud to support Regine Petersen’s solo exhibition at Foam, Amsterdam. During the 2014 edition of Unseen Regine Petersen (1976, DE) was selected by the Outset | Unseen Exhibition Fund curatorial committee for an exhibition in Foam 3h, the space where Foam presents young international talents.? In Find a Fallen Star Petersen uses the stories of meteorite falls as a background for her narratives; a rock crashing through the roof of an Alabama home in the 1950’s and hitting a woman, a group of children recovering a meteorite in their village in post-war Germany, and a more recent event in India involving two Rajasthani nomads. Petersen visited the places and the eyewitnesses and delved into their stories, expanding her photographic observations with found documents and interviews. Just as meteorites could be considered time capsules, each chapter encapsulates a specific place in a certain time, questioning the notions of memory and history and the relationship between the ordinary and the sublime. 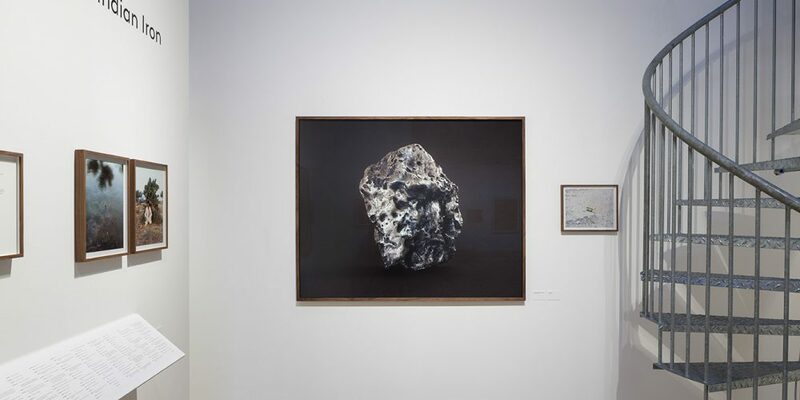 In the exhibition she brings together the three chapters of Find a Fallen Star, combining photography, text and objects. Founded in 2013, the Outset | Unseen Exhibition Fund is a unique partnership between Unseen Photo Fair and Outset Netherlands, providing a new institutional platform for emerging talent. A selection committee of young curators scouts the Unseen Photo Fair, Amsterdam before opening hours, and selects one exhibiting artist for a solo exhibition at Foam. The committee which selected Regine Petersen in 2014 consisted of Ann-Christin Bertrand (Curator at C/O Berlin), Matthew Leifheit (Photo Editor at VICE) and Shoair Mavlian (Assistant Curator at Tate Modern). Regine Petersen’s exhibition Find A Falling Star is on view at Foam from 20th March to 3rd May 2015.